Well, this album will most likely end up being my most coveted release this year, and I was indeed very happy to get this one last week. The duo known as Tohoku Shinkansen（東北新幹線）consisting of the late musician Hiroshi Narumi（鳴海寛）and songwriter Etsuko Yamakawa（山川恵津子）has already been mentioned on the pages of this blog through three tracks from their sole album from 1982, "Thru Traffic". And it is because of those three tracks that I had wanted to get "Thru Traffic" for many months. 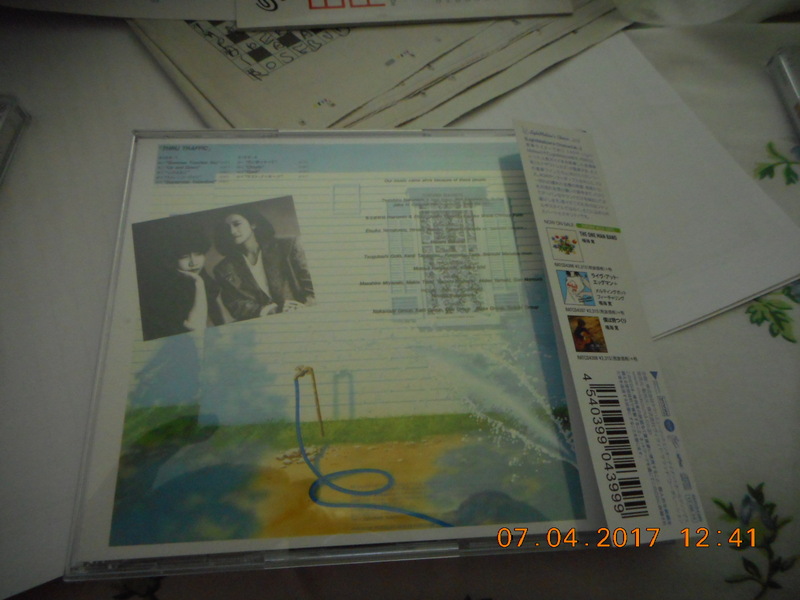 However, at the time, Amazon.jp and some other sites were selling the rare album for prices like 7,000 yen and upwards; too rich for my blood. Tower Records Japan had actually been selling far more reasonably priced CDs of the album but when I checked there, it had already been sold out. Undaunted, I kept checking periodically until early June when I discovered that my old haunt was once again taking in reservations for a new batch of "Thru Traffic". Well, the fingers flew fast on my keyboard that night and made my purchase. Being the smirking cynic that I am, I figured that my luck would run out and Tower would send me a message stating that I had just missed out or that Japan Post had lost my disc. Happily, though, it didn't happen. "Thru Traffic" is definitely a pure KKP/YouTube purchase. There wasn't even any mention of it or Tohoku Shinkansen on "Japanese City Pop". I only found out about it because I was just strolling through YouTube one night at some of the other songs that songwriter Yamakawa had provided other singers. Unfortunately, the video of the whole album has been taken down and although I understand the reason behind the powers-that-be's decision to send that cease-and-desist e-mail, I have to say that it was because of the presence of that video along with the videos of separate tracks that I could find out about the album and eventually purchase it. No videos, no "Thru Traffic" in my hands. Furthermore, I've got the sneaking suspicion that some of the other purchases of the album from Tower Records may have been because of folks coming across the videos on social media somewhere. But before I end up pressing that soapbox into the soft earth under my considerable girth, let me step off and just say that I have brought back the opening track "Summer Touches You" as performed by Narumi, although it has already gotten its own article. One of the commenters said that the song reminded him of some of the material that Canada's own Gino Vannelli had sung, and his name does indeed pop up in the liner notes for "Thru Traffic" as an influence. I have already sung the praises but listening to it a few more times, that intro of guitars and mellow horns is simply fantastic for a guy who loves R&B and other facets of urban contemporary pop from that era. The only other new track that I could find anywhere online was "September Valentine". And it was a song that I had already covered back in 2012. 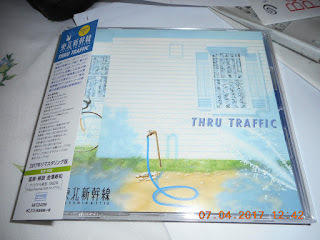 The bluesy original by Yasuhiro Abe（安部恭弘）and Atsuko Saito（斉藤敦子）has been remade into a jazz ballad on "Thru Traffic" that would make Hi-Fi Set or even the Manhattan Transfer swoon. Compared to the other three tracks represented here on the blog, it's a bit of a stylistic detour but a wonderful one thanks to Narumi and Yamakawa. I've only had a chance to quickly skim through the liner notes of the album but what I could find out was that both Narumi and Yamakawa started their musical education in classical music. However as they were growing up, Yamakawa started falling for the Group Sounds of the 1960s and Western pop music in general while Narumi had his eyes (and ears) further opened by the sounds of artists such as Burt Bacharach, The Carpenters and The Fifth Dimension. If I've got my translation correct, the two of them were working at the Yamaha Music Foundation and it was evident that their ages and musical tastes meshed well. One day, a director at Yamaha even suggested that the two collaborate as a unit and so Tohoku Shinkansen was born. "Thru Traffic" would be the big project for the duo with the concept covering AOR and black contemporary music of the time with that feeling of the city (despite the cover having that illustration of a white house with the wood siding perhaps out in the burbs). Basically, according to those same liner notes, there were influences from Vannelli, Bobby Caldwell, Earth Wind & Fire and George Benson. Ah, what the heck! I brought in another video, "Tsuki ni Yorisotte"（月に寄りそって）performed by both Narumi and Yamakawa, to finish things off here. I have no idea how the album did on Oricon; most likely it did modestly at best but to me, this is a definite keeper. And if anyone ever asks about how to get in on the ground floor for Japanese City Pop or J-AOR, I could definitely recommend "Thru Traffic". If you've got the funds, you can get it on Amazon or pester Tower Records Japan for more copies to be made. Thanks J-C: I'd seen the vinyl and CD going in the 80$$ range, is it common practice to reissue CDs ? Placed my order with Amazon - I rank Etsuko Yamakawa as the only possible equal of Sato quasi ( 佐藤　準 ) when it comes to "hearing the world the way I do". Their arrangements ARE the song in many cases. ( In western music I would compare to Curtis Mayfield - anything he touched was blessed ). Yep, that's one expensive piece of vinyl. So I'm glad that various companies have been on this reissuing of older albums for the past several years. I think Yamakawa could be one of those underrated songwriting stars. I have heard a number of songs that she had created for other folks such as Miho Nakayama and they are alternately catchy and appealingly mellow. I may have to devote a Creator article for her soon. 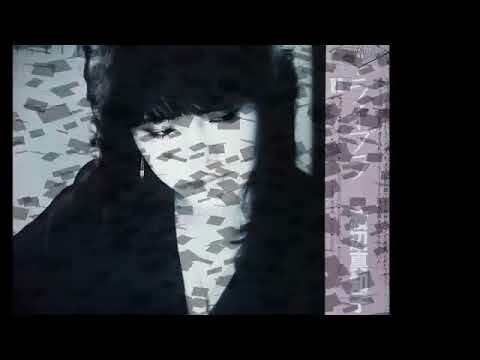 Good evening J-C: her genius finds no better manifestation (in my opinion) than one of my favorite songs, "Umbrella Angel" (アンブレラ・エンジェル) by Onyanko Club. The original song is "Beware Boyfriend" by Mari Wilson, and while she no doubt is a lovely person the song is a 10 on the scale of 1 to "meh". But with the Yamakawa arrangement - WOW ! It's got me really listening to the music, as opposed to simply playing it. https://www.youtube.com/watch?v=v5IruSJmcpI The video is from the Backstage Pass DVD set. I especially like the "rain effects" in the beginning, and the wonderful drumming (a hallmark of Onyanko songs in general). Anywho, Tohoku Shinkansen delivers the goods! Thanks for the recommendation. As for your question, you got me! Considering the music and the album title, I was expecting to see a highway along Tokyo Bay. Perhaps the designer was so lulled by some of the mellower tracks that he just had to put in something appropriate for a hammock. Ah, by the way, no problems on the recommendation. Hope you can get your own copy of it without having to break the bank. Plasmagica -- Have a nice MUSIC! !